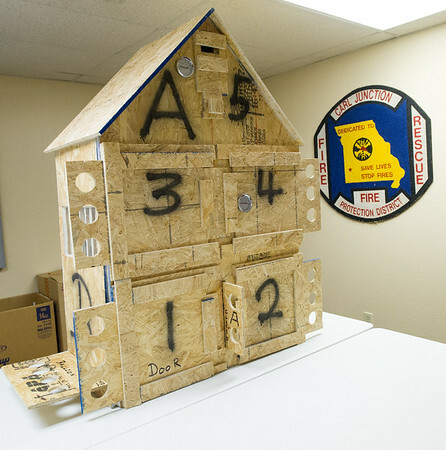 A "burn house," built by Carl Junction Fire Department volunteer Paul Merwin, sits inside the department last week. According to Chief Joe Perkins, the house would cost about $1,000 to purchase and is an example of some of the things volunteers contribute through their individual talents. Merwin is an engineer for Tamko when he is not volunteering for the department.